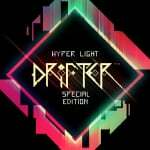 Two years on from its original release, Hyper Light Drifter might not feel quite as unique in both its art style and the relentless difficulty of its combat - especially in the company of Dead Cells and so many other pixel art indies - but that doesn’t mean this acclaimed hack ‘n’ slash odyssey has lost any of its potency. And with its new Special Edition, Switch owners will have access to exclusive items and weapons that will make what can be a merciless experience far more palatable. All this talk of ‘relentless difficulty’ and ‘merciless experience’ might sound like we’re going to liken it to Dark Souls, and you’d be right, but the comparison is more than just a cliched reference. 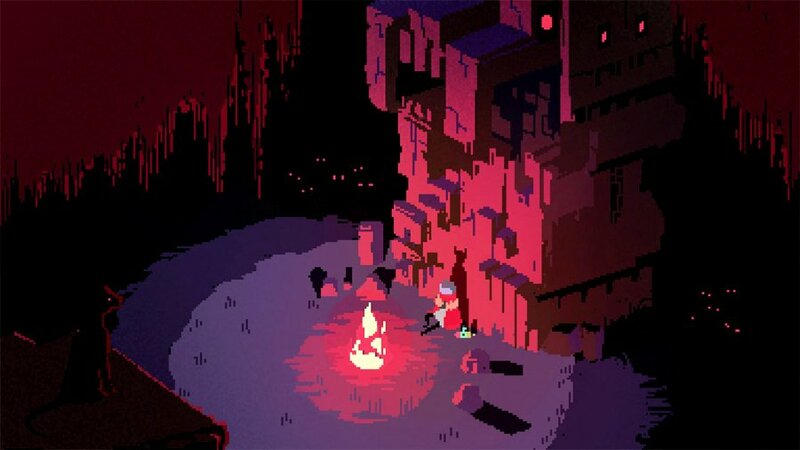 Hyper Light Drifter's connection to FromSoftware’s seminal series covers more than just its simple yet punishing combat model. It extends to the non-linear nature of its game world, full of obscurely hidden paths, shortcuts and hidden areas. It’s a world full of danger, make no mistake, but you can tackle these challenges as and how you see fit thanks to the open nature of its map. And what a world it is. Running at a smooth 60fps in both handheld mode and docked, Hyper Light Drifter isn’t just another port of a popular indie game, but the definitive version on the platform it best suits. With both the PS Vita and Wii U versions having fallen through in recent years, you only need to play this iteration for five minutes to appreciate just how perfectly Heart Machine’s labour of love suits Nintendo’s portable console. Its neon-coloured pixel art world - a setting rich with colour but marked by a terrible tragedy that informs everything from character design to the aesthetics of its large and varied map - is a joy to explore, even if you will die ad infinitum in your first few hours. It’s painful, but it’s part of Hyper Light Drifter's strict learning curve. You can dash with ‘B’ and slash your sword with ‘Y’, and soon after you start you’ll unlock a pistol you can fire off with ‘RZ’. Your dash can help you flit across gaps and provide a means of dodging enemy attacks, but most of the foes you’ll meet are fast too, so you’ll need to learn to master the speed and distance of this life-saving move. With a roster of enemies that grows with every new part of the isometric world you explore, you’re constantly learning to take down a new enemy or group of foes. A nice touch is that your gun only has a limited number of shots, and the only way to reload it is to slash enemies with your sword or use certain elements in the environment; a clever distinction that completely removes the ability to pull back to a safe distance and grief enemies. It’s a model that demands you commit to offence consistently in order to have a full arsenal, and - once you’ve mastered it - you’ll be dodging one second, unleashing a salvo of shots the next then swooping in for the final hit with a swing of your blade. The combat model doesn’t suffer fools (or noobs) gladly, although the Special Edition does benefit from years of careful calibration by Heart Machine in order to find the right balance between brutally difficult mechanics and just the right amount of reprieve. However, to make the game that little bit more appetising to newcomers, the Switch version comes with a handful of exclusive items. The Blade Caster and the Crystal Shot offer an engaging new spin to combat, with the former offering two blades that can be thrown, while the latter can freeze enemies in place for a quick dash and slash. You’ll have to battle through the game’s new Tower Climb challenge to unlock them, so a certain amount of investment’s going to be needed to claim these new weapons. There’s even a new outfit that helps locate some of Hyper Light Drifter's more obscure collectables, make it easier to find resources to upgrade your gear. Since it’s just an outfit, more experienced players can just opt for other threads if the concealed nature of Hyper Light Drifter's secret bounty holds a special place in your heart. Complementing that neon-drenched visual splendour is Disasterpeace’s illustrious and haunting score, with its sweeping almost sinister doom-synth flourishes making it reminiscent of Vangelis’ seminal soundtrack to Blade Runner. 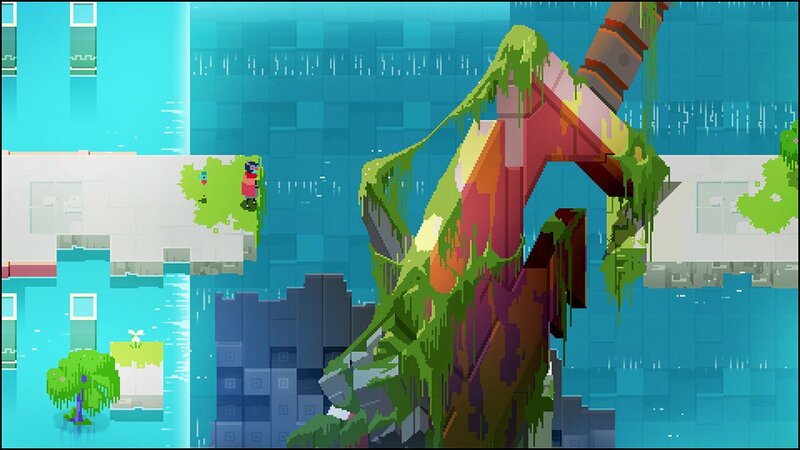 It’s a throwback that just adds to Hyper Light Drifter's air of mystique, and even two years on from release and multiple playthroughs on myriad systems, it’s still a goosebump-inducing experience that helps pull together its combat, world and obtuse storytelling into a memorable package. 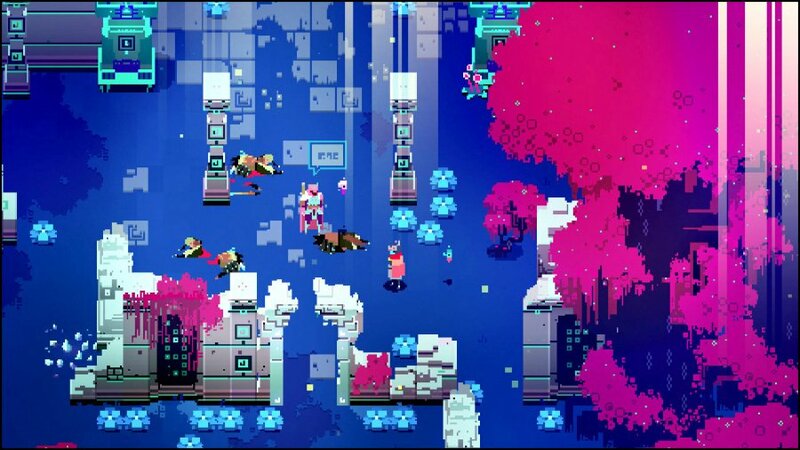 If there’s an issue that can be laid at Hyper Light Drifter's feet, it’s one that’s inherent to the way in which its story is presented. The game does a wonderful job of creating an instantly captivating world from the off, with its clever use of cutscenes and dialogue that use only pictures to communicate an NPC’s backstory or the nature of an impending challenge. It’s an abstract approach that seeds a palpable sense of mystery in its first few hours, but considering you have to travel far from the beaten path to uncover anything approaching lore, you’re never truly given the narrative payoff such an intriguing world deserves. Hyper Light Drifter: Special Edition finally puts Heart Machine’s obtuse yet engaging throwback where it belongs - in portable Nintendo form - and it makes for the definitive version. With a handful of exclusive features, a two-year-old game suddenly feels new and fresh - and with a silky smooth frame rate and every boss, secret and upgrade from the original here for you to experience, the Nintendo Switch’s indie library just got even better. Picking this up on day one. Amazing game. Will double dip. I haven't played this yet. I've been exhausted with pixel art, but since the word 'rogue' is nowhere to be found, I could see myself giving it a shot. I've never played this and want to pick up either this or Dead Cells. Wish should I go for?! I bought this day 1 on PC but I've just double dipped. This is a phenomenal game. The thing that really differentiates it from other similar indies is the game world. It's full of cool secrets and it rewards exploration with meaningful rewards. The combat is lovely as well, initially it is difficult but in no time at all you are swooping around the screen destroying enemies. Going on holiday for a week in October so I will be sat on my balcony at night with a bottle of whiskey playing this gem . Thinking of double dipping. Had a blast playing this on PC. "Running at a smooth 60fps" is all I needed to hear. @fuzzy833 - personally speaking, this. I found it infinitely more satisfying, great soundtrack, glacial drip-feed of information and a really tough but rewarding battle system. And it isn't a roguelike, which are bloody everywhere at the moment. This will be the third time I've bought this, if that tells you anything (aside from me being an idiotic spendthrift). @jcvandan Can't go wrong with Hyper Light. Every aspect of the game is better. The world, music, combat, story, you name it. 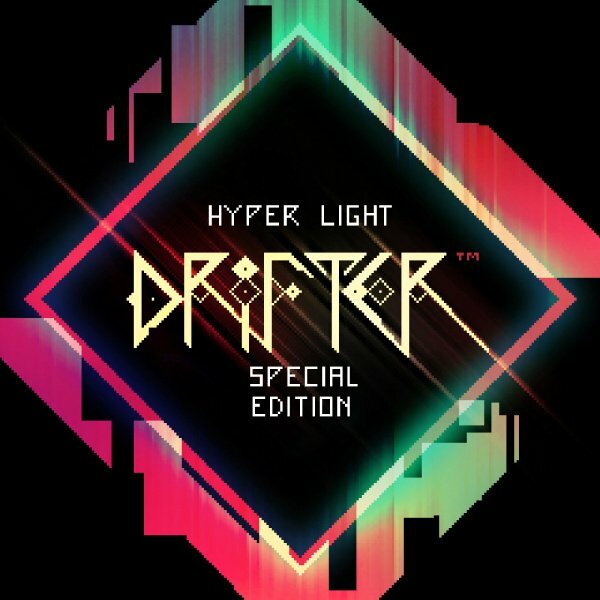 Hyper Light is 100% a must-buy if you like indies. One of the best games i've ever played, can't wait for the 6th! Its difficult but not unfair about it. I’m so stoked to finally play this one. Switch is really killin’ it on indies. The dash, sword, and pistol sound an awful lot like Furi, though I know this game came before. I bought this on PC but haven't played it so I need to decide whether to double dip or just play the copy I have and save the money for something I don't own yet. I don't mind "retro" pixel graphics, but the visuals in those screenshots just look messy and incomprehensible. Edit: OK, I looked up some gameplay videos on YouTube, and the visuals look much better in motion. I absolutely loved this on PS4 until I got distracted by life and stopped playing for a bit. When I went back I just found the difficulty insurmountable, not least becasue I was stuck just before the 4th boss. Incredible game though, and so beautiful. Insanely stoked to dig into this, and it came at a perfect time lol....life with 2 kids in private day care means funds are tight at the moment and I'm gonna have to hit the brakes on game purchases for a little while. Got my preorder in for this, grabbing Planet Alpha next week, and Dust: An Elysian Tale on the 10th an then I'm gonna "go dark" lol. That's gonna bring the count up to 286 games on my Switch and I think I have plenty of backlog to focus on for a while. Just sayin', glad this one got to slide in before the "eShop hiatus", I might have cried. @jcvandan some people like those style games, others don’t. Nobody forces you to play them. There are plenty of both kind of games that there is no reason to complain about roguelike. Some people just want to play a cool game with awesome gameplay and 0 story, others want a defined expierence. Dead cells and hyper light drifter can coexist. No surprise here, this game got rave reviews on other platforms. Too many games, not enough time. @Donutman I totally agree, I'm just personally fed up of those traits in games at the minute. And I did say 'my games' in my comment, which implies I don't want them, not that I don't want anyone else to have them because that would be silly. And I think it's reasonable to complain about something if you don't like it, regardless of whether other people do. Hollow Knight's price tag spoiled me. The original pixel art indie. They did it before it was cool and they did it perfectly. Been waiting YEARS for this. Is there a way to remap controls? I found that really crucial for my enjoyment of Hollow Knight and Dead Cells, and it's also one reason I am very reluctant to pick up The Messenger. Okay, now I’m starting to lose hope that @Dom might one day learn how to spell the name of Switch’s triggers. @Ralek85 I haven’t played this game so I can’t answer, but boy are you right! I love customization in my games, and I think remappable controls should be somewhat standard by now, at least in some genres! so tempted on this one, not bought a game on switch in a while, wish it was stardew price though can you sink 18+ hours into this? On my wish list for a sale. I have it on steam and never played it there yet because i always have a backlog, but I think i'll be more likely to play it on switch. That’s an odd way to write 10/10. So glad they made the effort for this Switch port. Day one for me. That picture with the three robot heads or whatever is straight up nightmare fuel. @fuzzy833 Dead Cells is a great game, fun and entertaining, with a great art style and personality, and the combat has a nice flow to it. 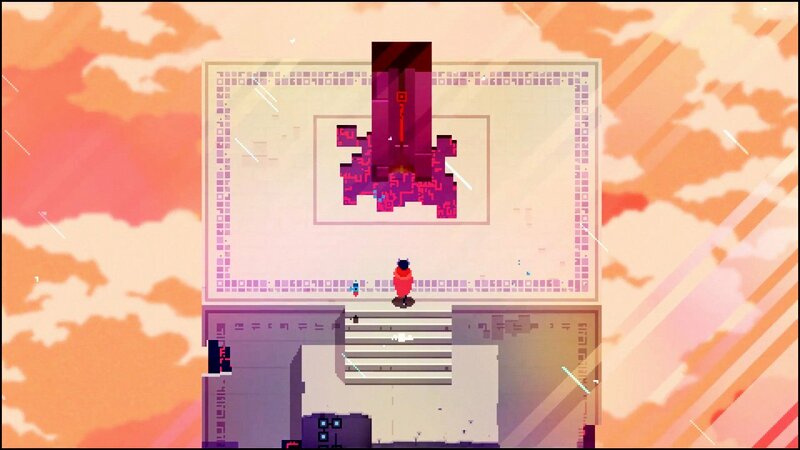 But Hyper Light Drifter is a straight up masterpiece that will stay with you long after you beat it. It just is such a coherent experience that excels in evoking a certain feeling and fully immersing you in its world, even without any real dialogue or a straightforward narrative. The combat feels amazing, the music is spectacular, the art is beautiful, and the way progression works is challenging but in such a way that you know you're in full control and can beat that tough section or that boss if you just get a tiny bit better. All these elements add up to a game that is more than the sum of its parts. Hyper Light Drifter is one of my top 5 games of all time. If you can only get one then this is the one to get. Ever since Superbrother : Sword & Sworcery EP on iOS in 2011 countless games copied their art style, including this one. I preloaded this morning I don’t know that much about it other than I have a few peers who swear by it’s greatest and if it’s not great I will punch said peers in their stupid liar noses. This is crazy we’re drowning in amazing indies right now. Second review in a row (Blade Strangers) you use 'grief' as a synonym for attack. What are you on about? You know 'griefing' is already a gaming term, right? @jcvandan I’m not envious at all. This sounds great. Been really into Dead Cells (physical), but the permadeath is wearing on me. Avoiding digital right now and was bummed about both Hollow and Shovel Knights' physical release being next year. Will wait for this one too. If you think this game should get the same score as MHGU you need to rethink your life. I'm not sure if I'll double dip, but this was definitely an interesting game when I played it on the PS4. I guess it helps that I love games that focus on visual storytelling over tons of dialogue, especially when its done as well as it was in this game. @Rika_Yoshitake you think MHGU should have got less? I think this looks fantastic and it way more my sort of thing than Monster Hunter. Nothing wrong with like that though. @Sadiki thank you. I'll get both! Just bought Dead Cells for my holiday, and will get this next week. Sounds amazing. Is this considered a rogue-like or not? I don't mind some challenge, but not a big fan of rogue-likes exactly. @MeloMan No, it's not. It's a handcrafted game to my knowledge. Thank you @Giygas_95. Now I'll hope for physical release. @fuzzy833 i haven't played this yet, (but i think i have it with PlayStation plus). It depends on the type if game you like, but for me it's this game, easy. Unless you like roguelite games, or playing a very short game over & over again, this is an easy choice. Dead cells just doesn't have the precision controls like i prefer in jumping & attacks, so it's game play loop doesn't do it for me. I still play it occasionally, but only because i feel obligated to since i spent $20 & it's using valuable storage space on my switch & MicroSD card. I wish I'd have saved my funds for something else (maybe this game). Another game that I believe uses HD rumble, but there’s no mention at all in the review... this goes for most games that have HD, and that specific Switch feature never gets mentioned. It’s a selling point for me. Got it yesterday, and about 4 hours into it now. After the 1st hour knew the money was well spent. This game’s the real deal! This game should have been made for 3DS. It needs 3d depth perception for it's weird top-down camera angle. @NewAdvent highly recommend you try it. Very, very over rated. The world is interesting, the slashing mechanism fun ... And that's about it. The game itself is average, and I found it to be extremely annoying and frustrating after a while. The respawn points seem random, and I'm totally over looking for "secrets" by rubbing against walls. I had a real issue with the timing on the controls, which to many deaths. I did push ahead and finish it, but once I was done ... I was done. No interest in playing further and finding pointless collectables and guns... 6/10 from me.